John’s Note: For the past 44 years, I’ve earned a living from working in the outdoors – first as a taxidermist for 10 years, then as a writer, a consultant, an Internet content provider and a book author. Thousands of ways exist to make a fulltime or a parttime living if your heart is in the outdoors, and your body is in a job that you only work at to provide food for your family. 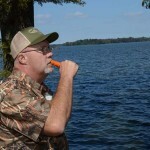 At Blue Bank Resort’s Fins and Feathers Festival (www.bluebankresort.com or 877-258-3226) on Reelfoot Lake in northwestern Tennessee in early October, 2015, I talked with outdoorsmen there about a new industry and a new sport that has made strong in-roads into the fishing world and is opening up new opportunities for both boat builders and fishermen. The definition of the word, “kayak,” has changed dramatically in the last 20 years. Up until the last couple of years, the word, kayak, brought to my mind daredevils sitting on the floors of their cigar-shaped boats with no rudders or keels and paddling through extreme whitewater, over waterfalls and through turbulent currents, often turning over and having to do Eskimo rolls to escape drowning. 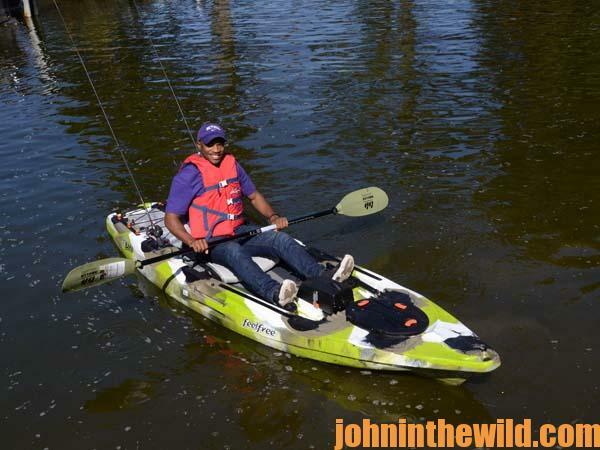 However, a new, much-friendlier fishing kayak is available today in the outdoor marketplace that’s receiving huge acceptance by anglers due to its maneuverability, comfort, stability, capacity to carry fishing equipment and affordability. 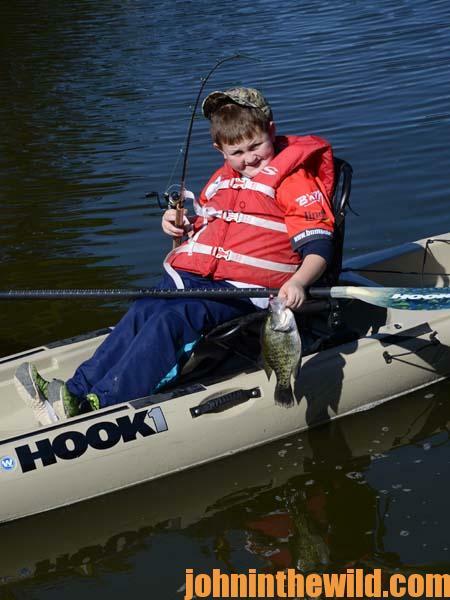 This new kayak is commonly known as a fishing kayak. 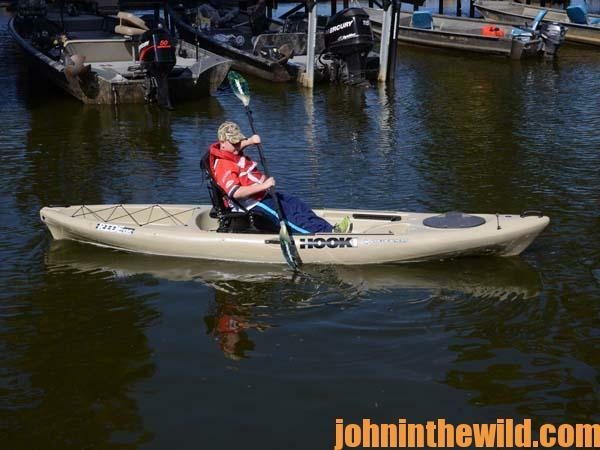 A classic example of the fishing kayak are the boats carried by Hook 1 Kayak Fishing Gear (www.kayakfishinggear.com, 866-486-8412) in Hendersonville, Tennessee, including Feel Free, Wilderness Sytems, Native Watercraft and Perception kayaks. 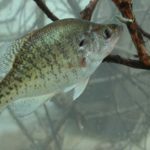 Bass tournaments, crappie tournaments and saltwater fishing tournaments all have evolved for anglers fishing from these new, modern fishing kayaks. 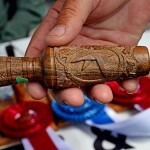 Chad Hoover co-owns Hook 1 and also conducts kayak bass-fishing tournaments (www.kayakbassfishing.com). These boats are relatively inexpensive (often less than $2,000) and enable a fisherman to fish big water, small streams, back bays and oceans close to shore. Appealing to anglers due to their being wider and much more stable than whitewater kayaks, these kayaks also are outfitted with rod holders and seats with backs in them. You can carry an ice chest, a tackle box and other fishing equipment like you take with you in any type of fishing boat. These fishing kayaks come with a kayak style paddle that allows you to maneuver with little stress or strain. 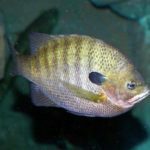 One of the keys to catching big bass and large crappie and finding productive bream beds is having the ability to fish remote places where other anglers can’t go. The fishing kayak solves this problem. To see these boats and learn more, go to https://www.youtube.com/watch?v=KyeREKkjvE4. 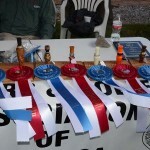 To learn more about the many facets of the outdoors, you can purchase John E. Phillips’ eBooks and print books at http://www.amazon.com/John-E.-Phillips/e/B001HP7K6O/ref=sr_tc_2_0?qid=1445614446&sr=8-2-ent. 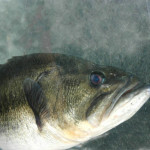 You also can download free books on cooking crappie and catfish and making jerky besides some other titles at http://johninthewild.com/free-books.